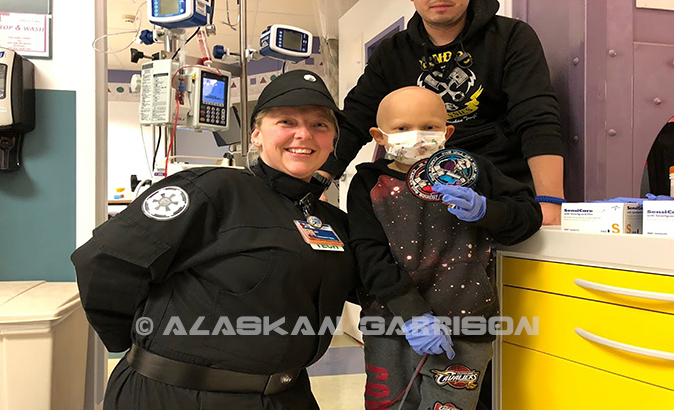 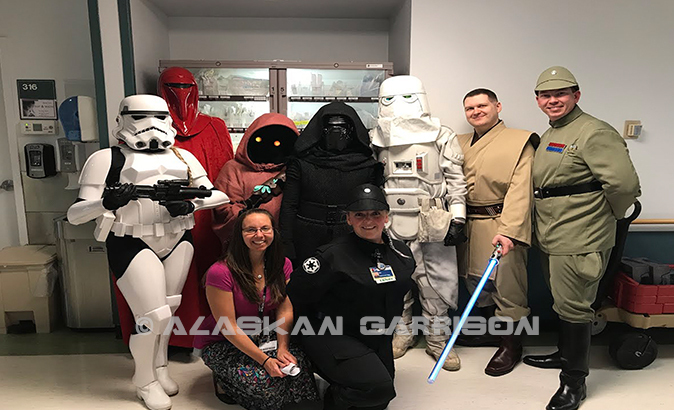 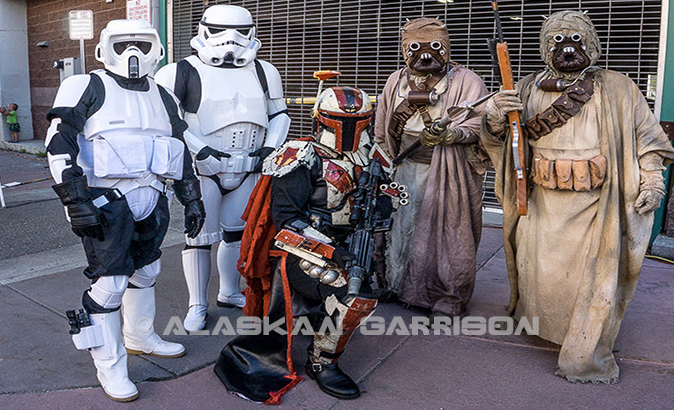 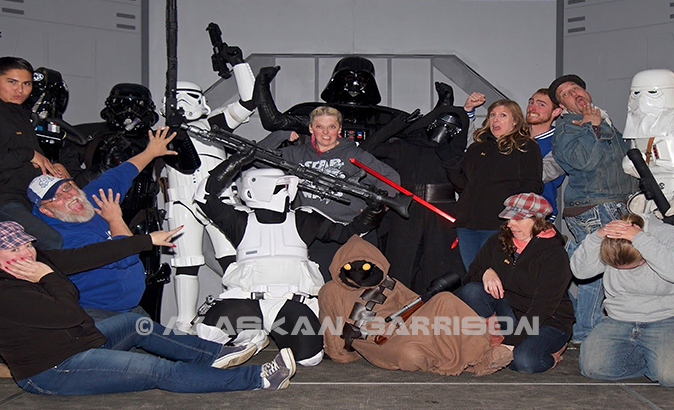 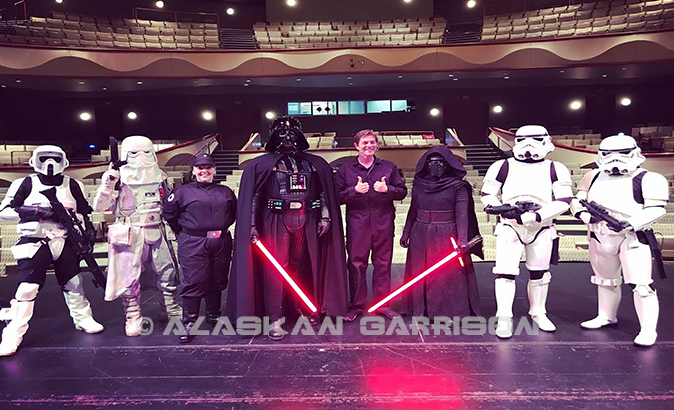 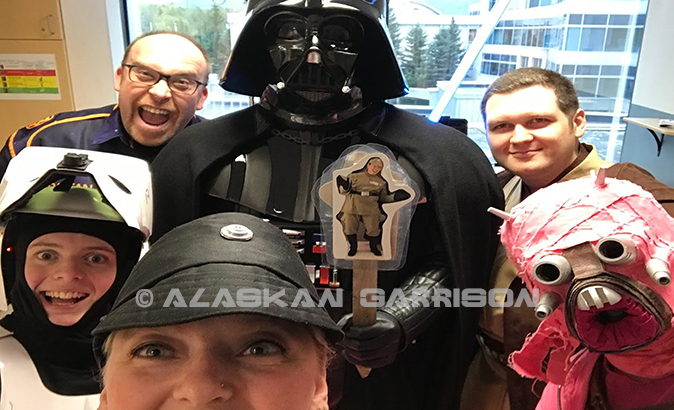 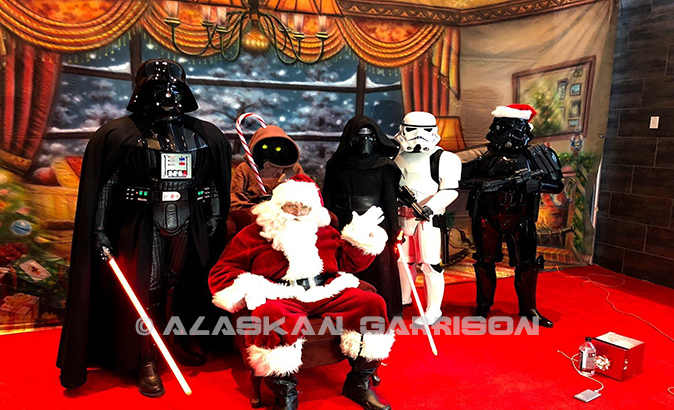 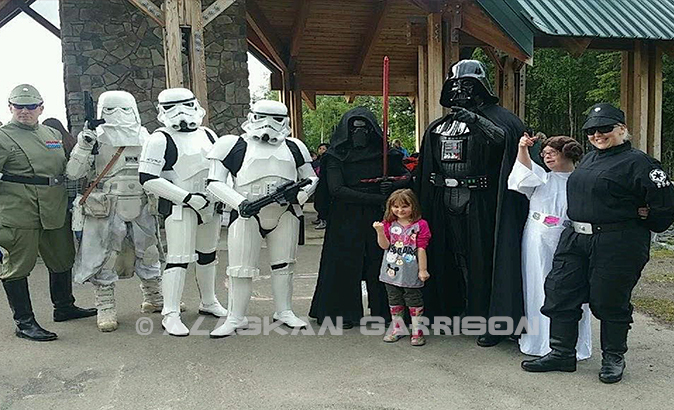 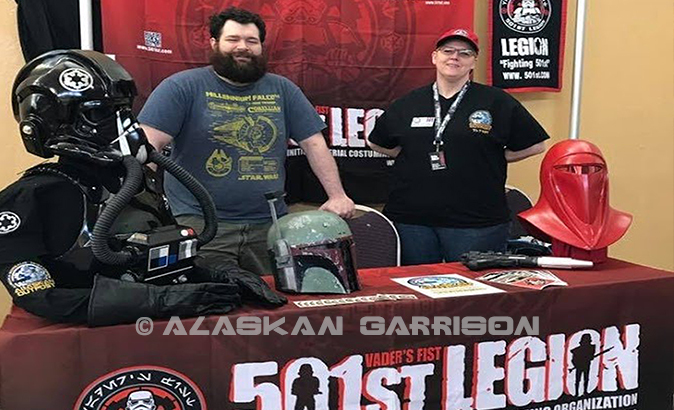 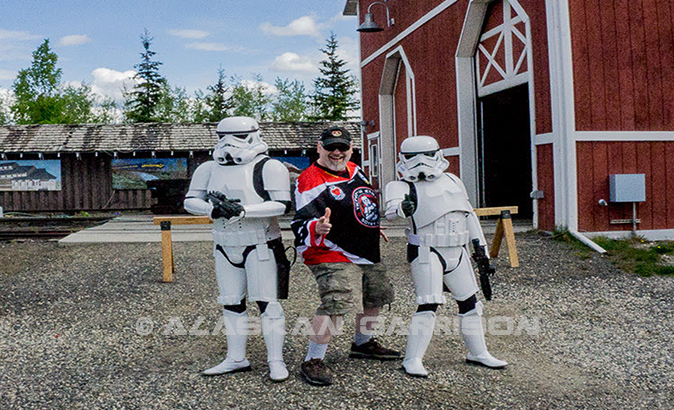 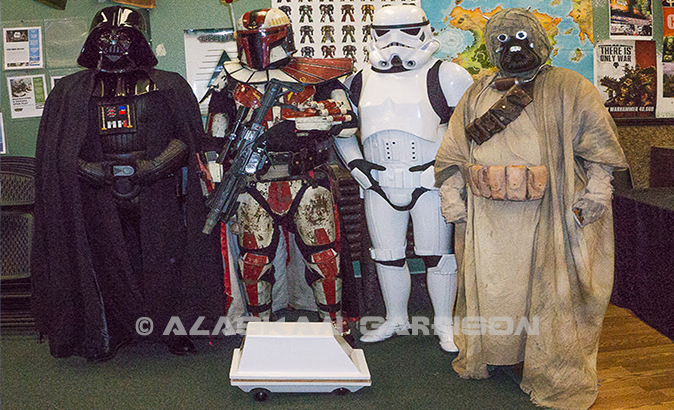 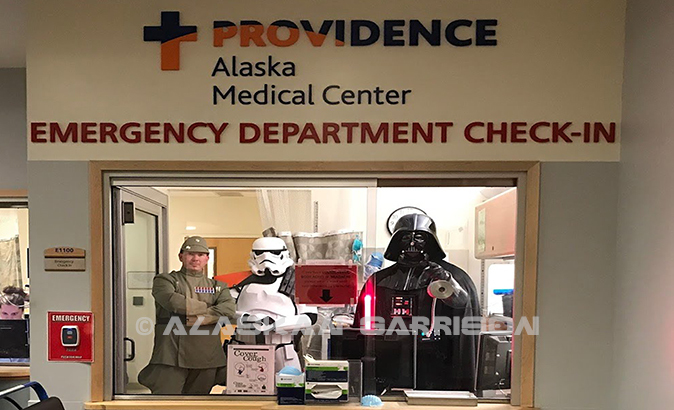 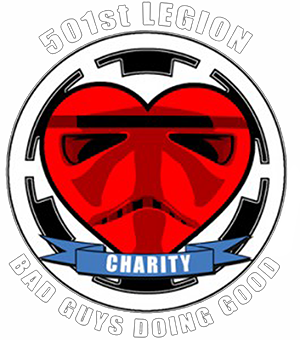 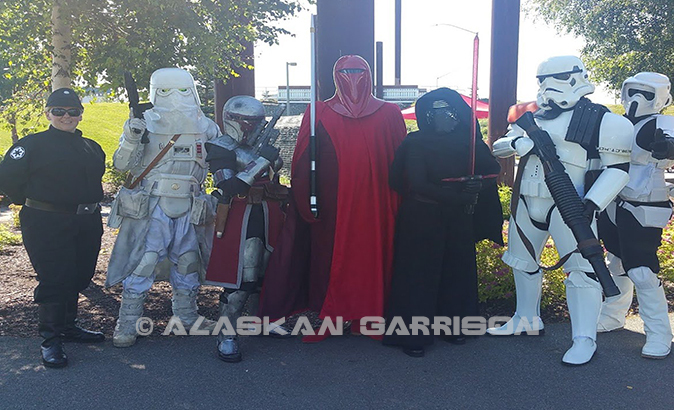 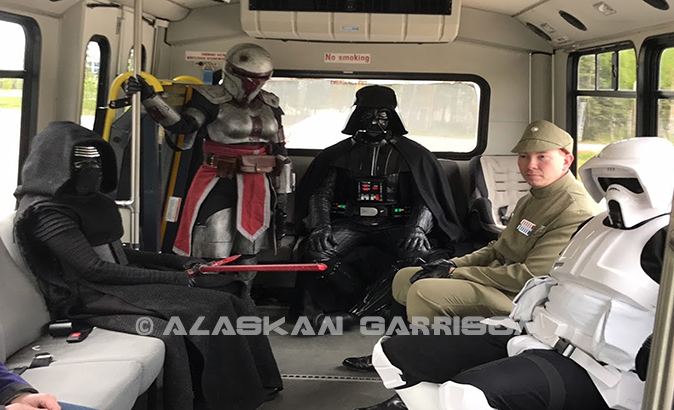 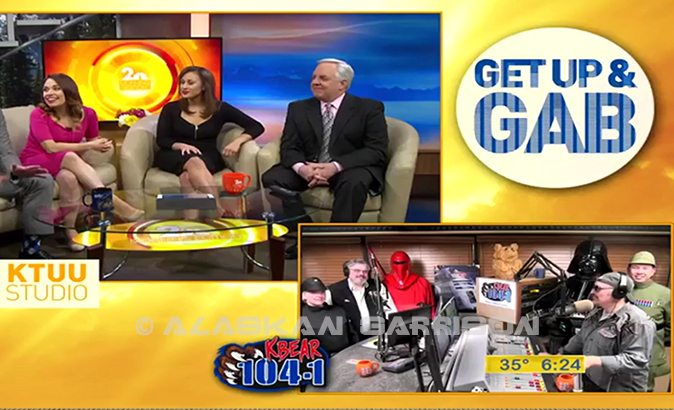 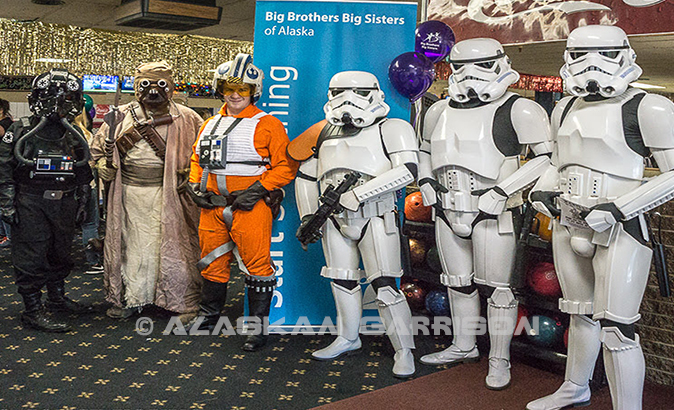 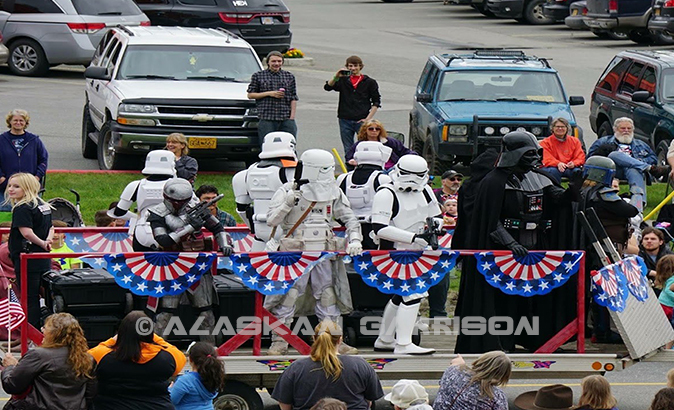 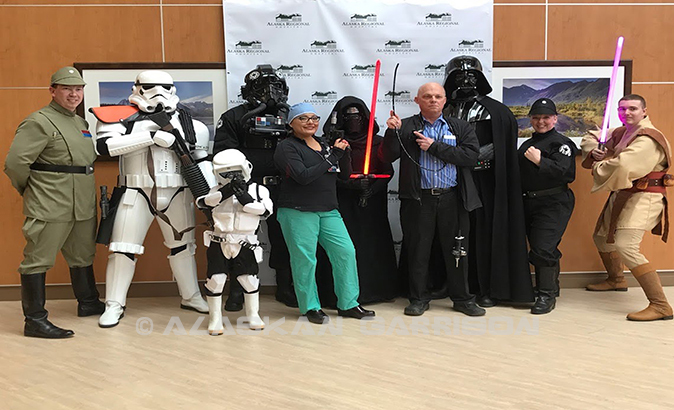 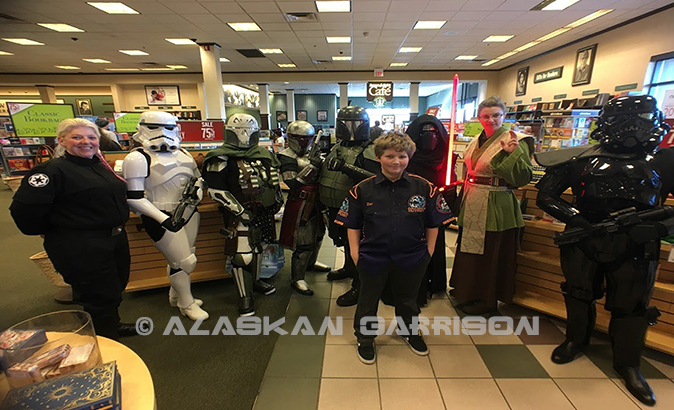 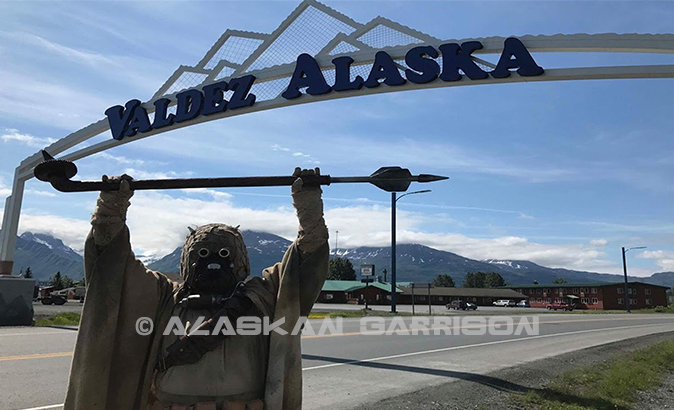 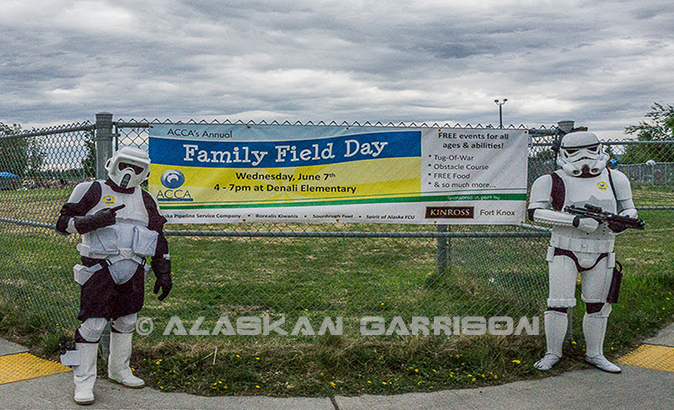 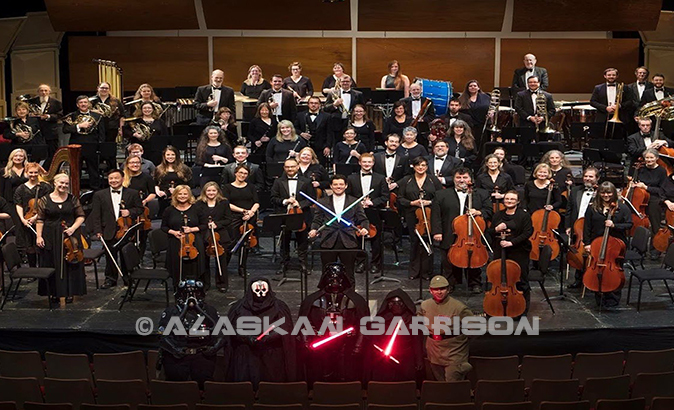 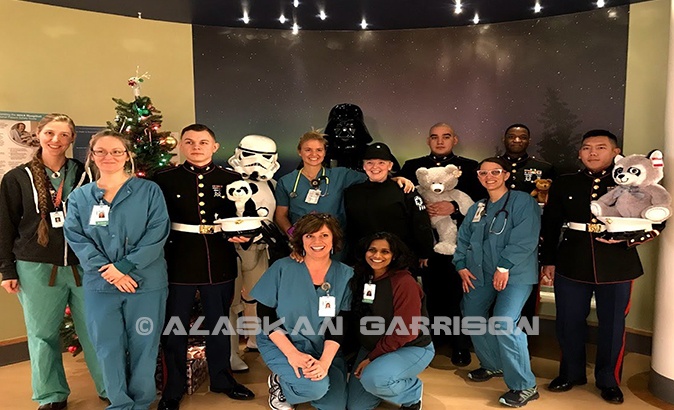 The Aurora Borealis Alaskan Garrison is a proud representation of the 501st Legion serving the great state of Alaska and is also home to the Alaska: Rebel Legion, Mandalorian Mercs, Astromech/Droid Builders, and Galactic Academy members. 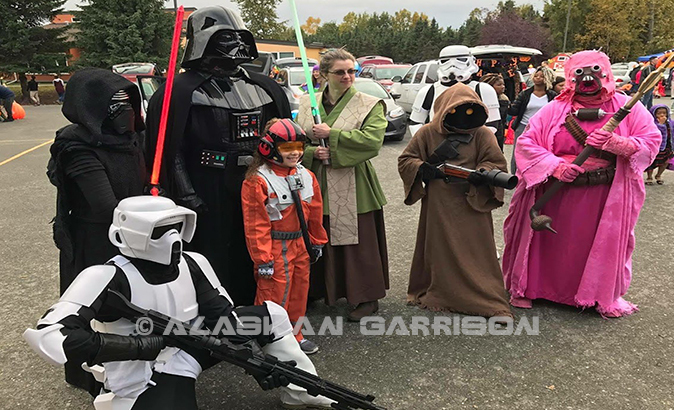 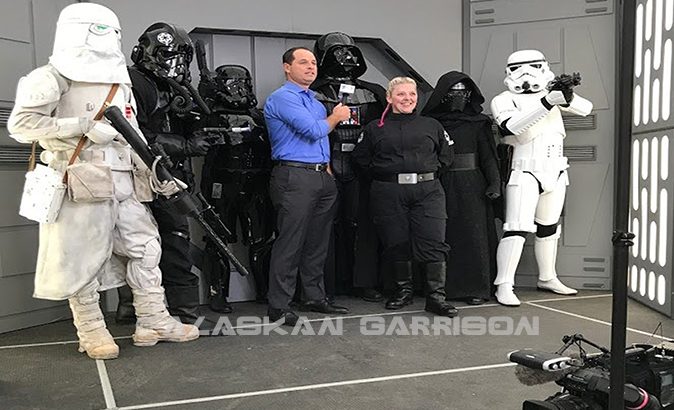 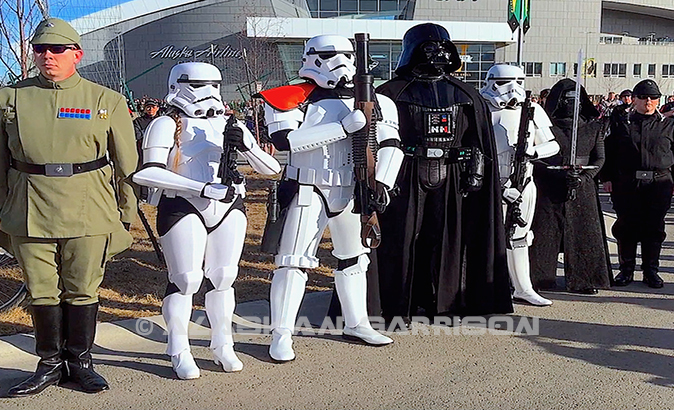 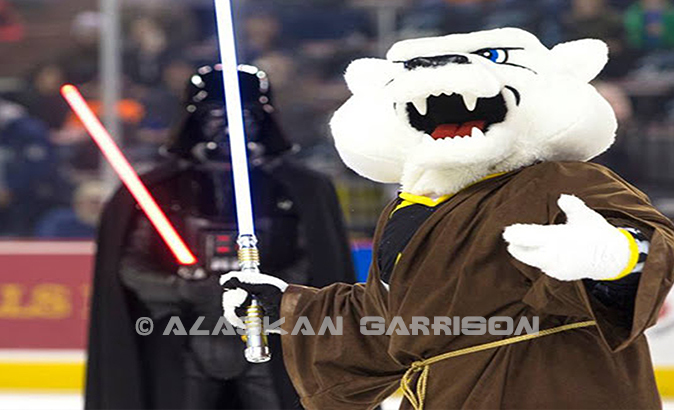 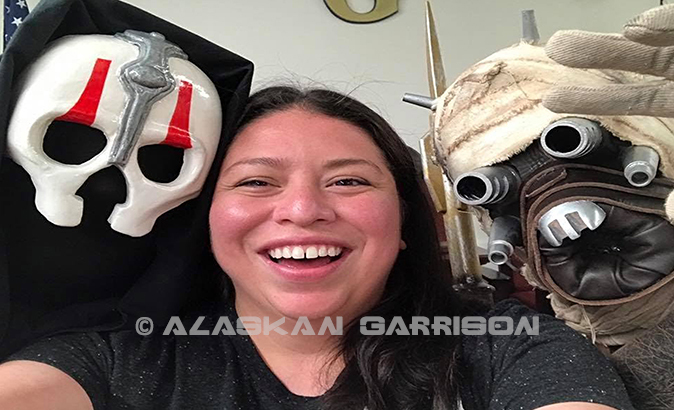 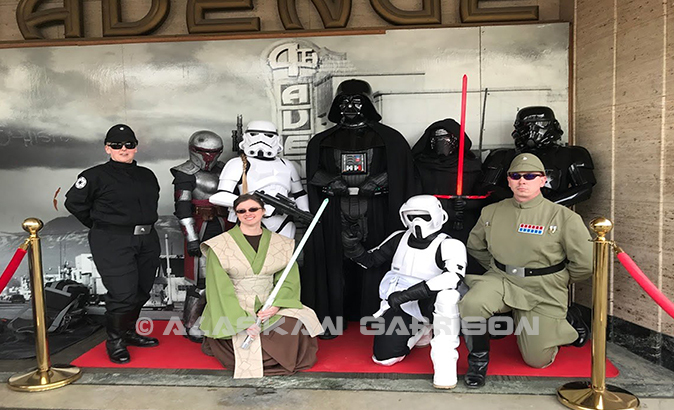 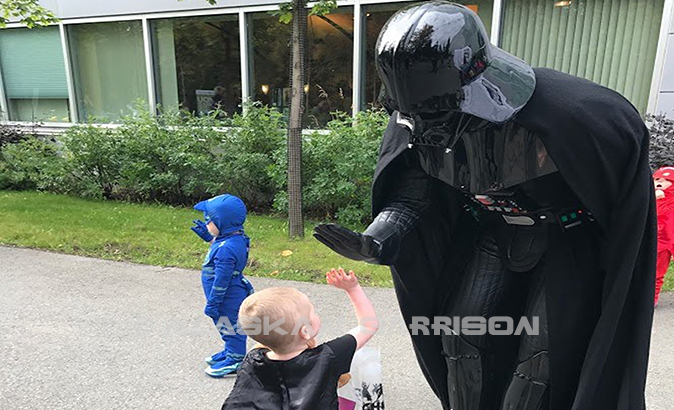 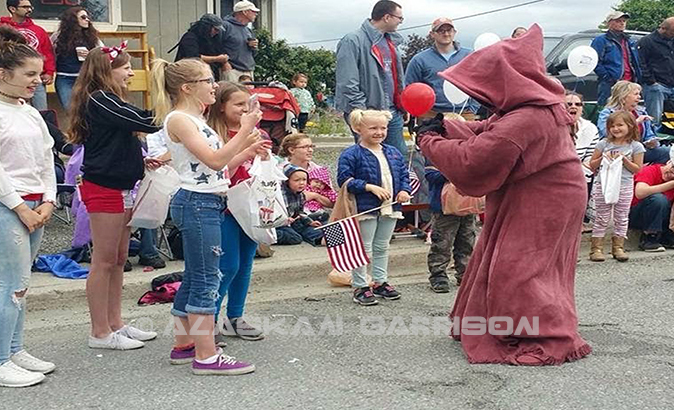 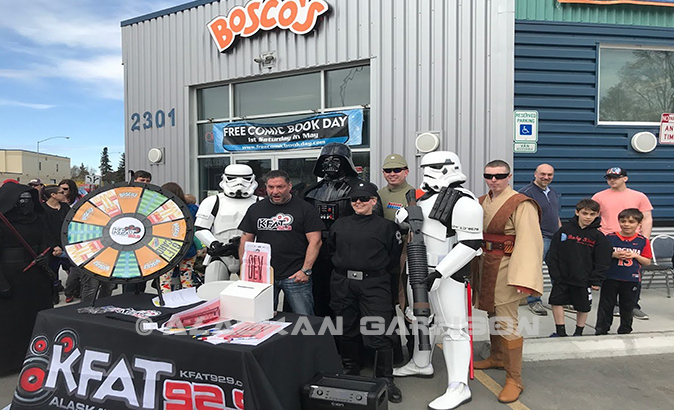 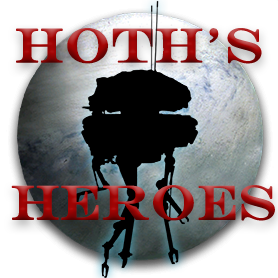 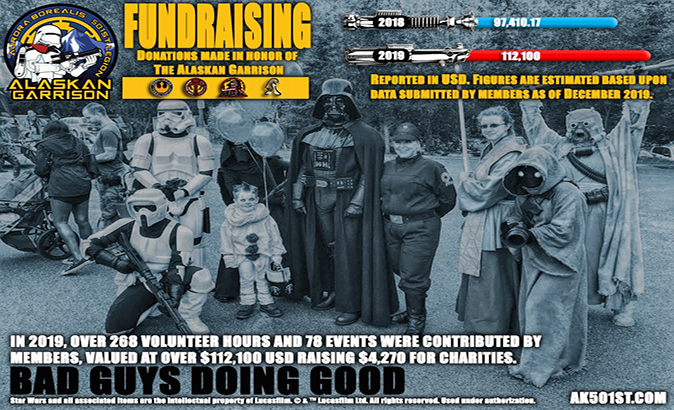 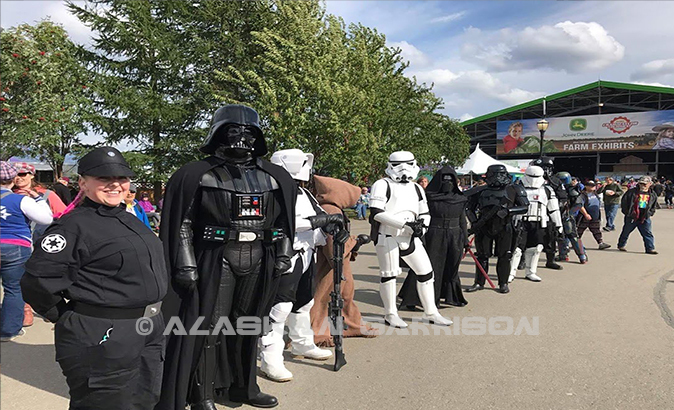 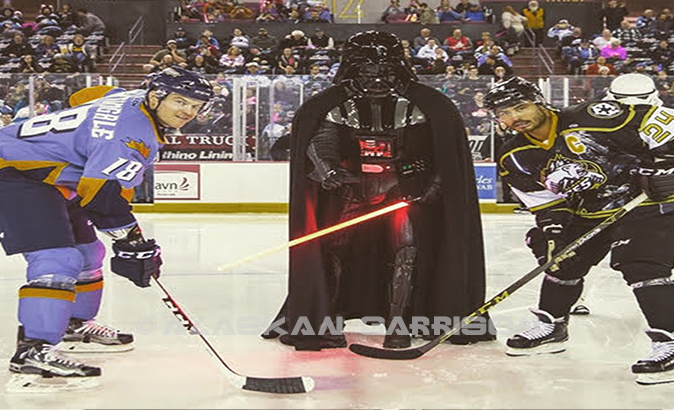 We seek to promote interest in Star Wars through the building and wearing of quality screen accurate costumes and props; in order to contribute to the local community through costumed charity and volunteer work. 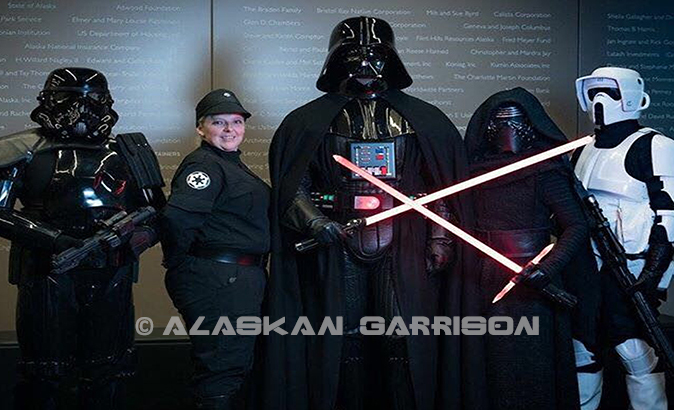 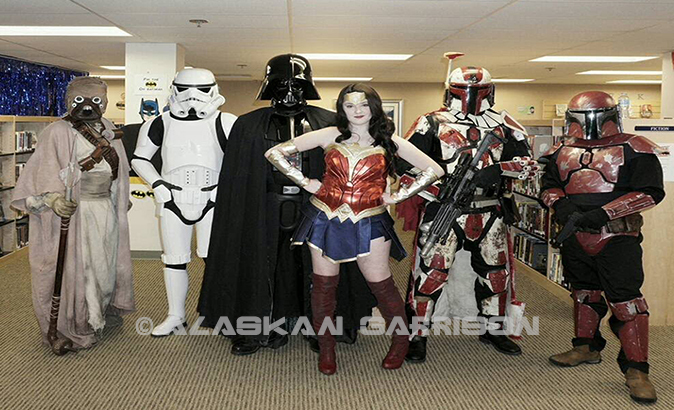 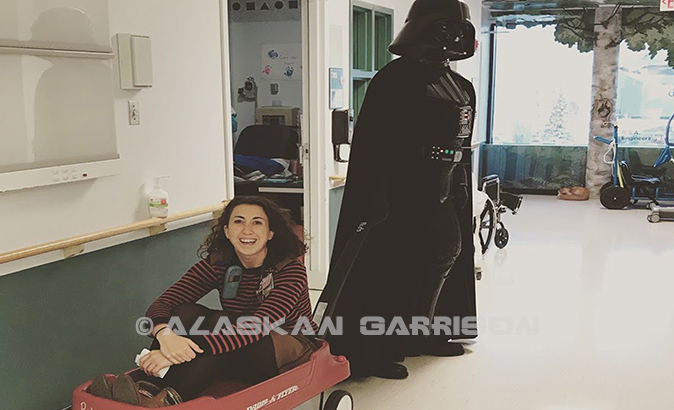 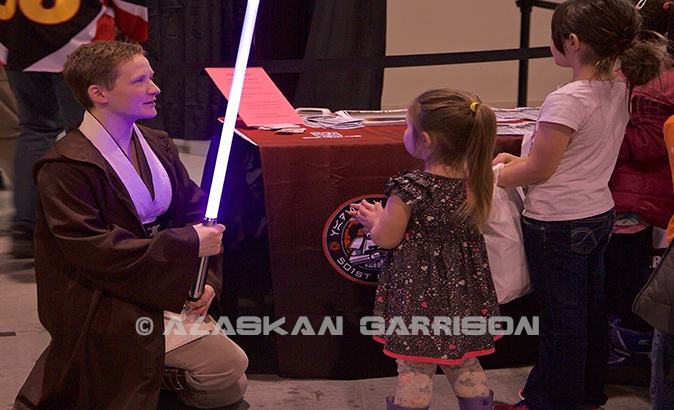 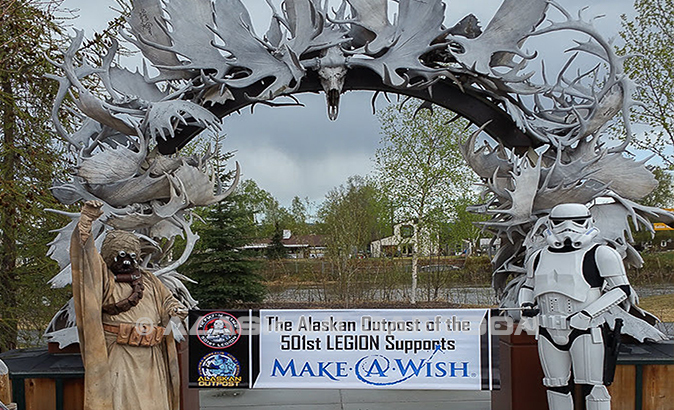 The Alaskan Garrison has members distributed from Juneau, the Anchorage/Valley, and the Fairbanks areas. 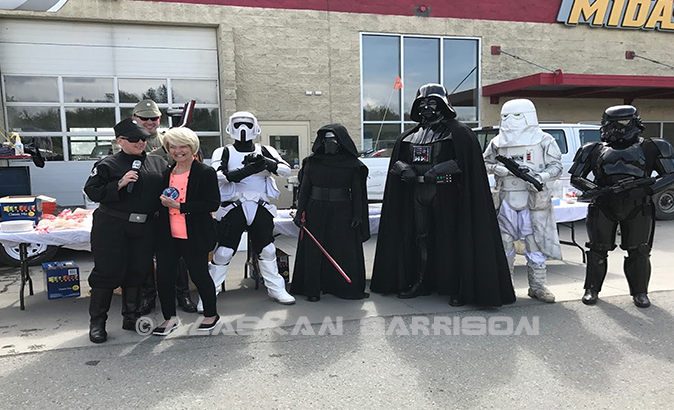 We have strategic relationships with charity organizations both large and small and are always looking for opportunities to brighten the lives of the less fortunate and to bring awareness to positive causes on both a local and global scale. 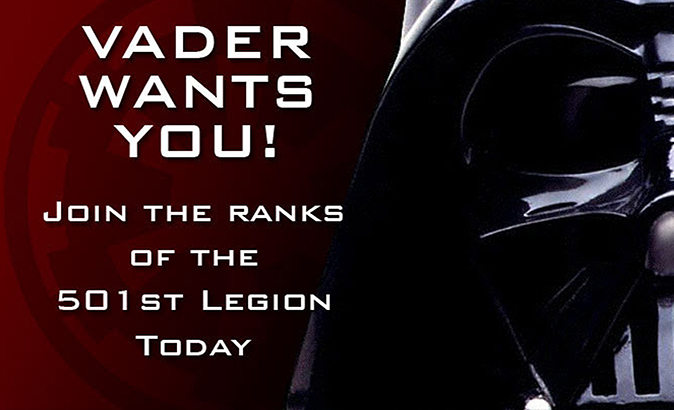 If you would like to join or require the help of the Empire's finest, then contact us!